What a stylish card, simple and classic. Thanks for sharing! This is beautiful!! I loveeeeeeeeeeeeeee the colors and the heart button!! OMGosh I love the heart flair! Very nice card - love the navy with the pops of red! Great choice of colors ! Are the sentiment rub-ons or already printed on the paper ? Beautiful card. Love the colors and choices of paper and embellishments. Such a great sentiment too. such a cute paper line. love the banner you made and the flair is DARLING! I love this. Very Pretty without being gushy. I love simple cards like this. Love this collection, too. Beautiful! Fabulous card! Love the added touch of the twine! 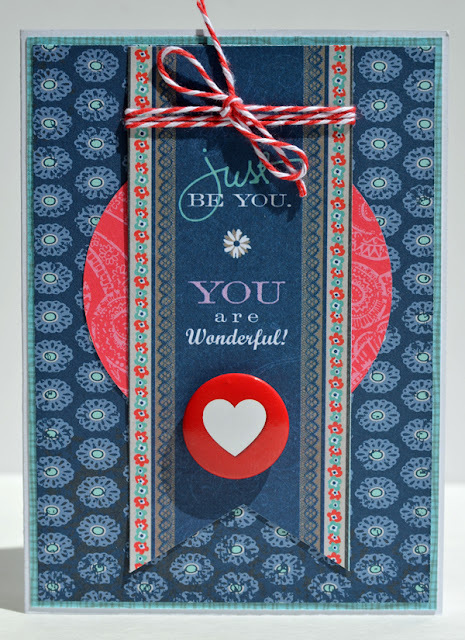 gorgeous card ~ love the flair!!! So Pretty! I Love The Color scheme And Twine! These are beautiful colors Lisa! Wonderful card! Really cute Lisa!! 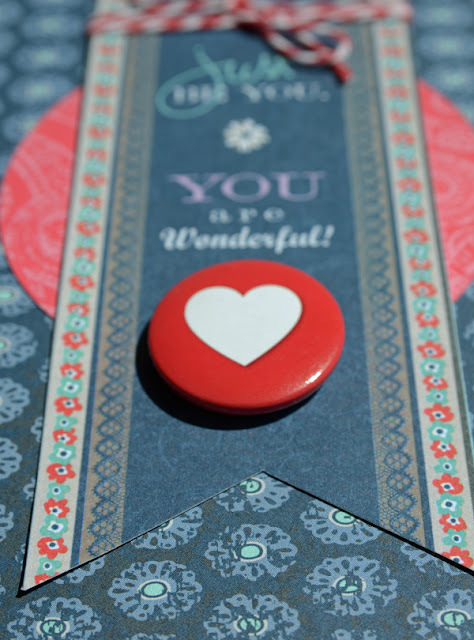 Love the Navy and Red combo and the Flair button is so cute!! Such a pretty card! Love the flair and colors!! Such an elegant and tasteful card! Love that flair!